Personalized Foldable Wedding Can Coolers make a great take home favor as a memento of the event! 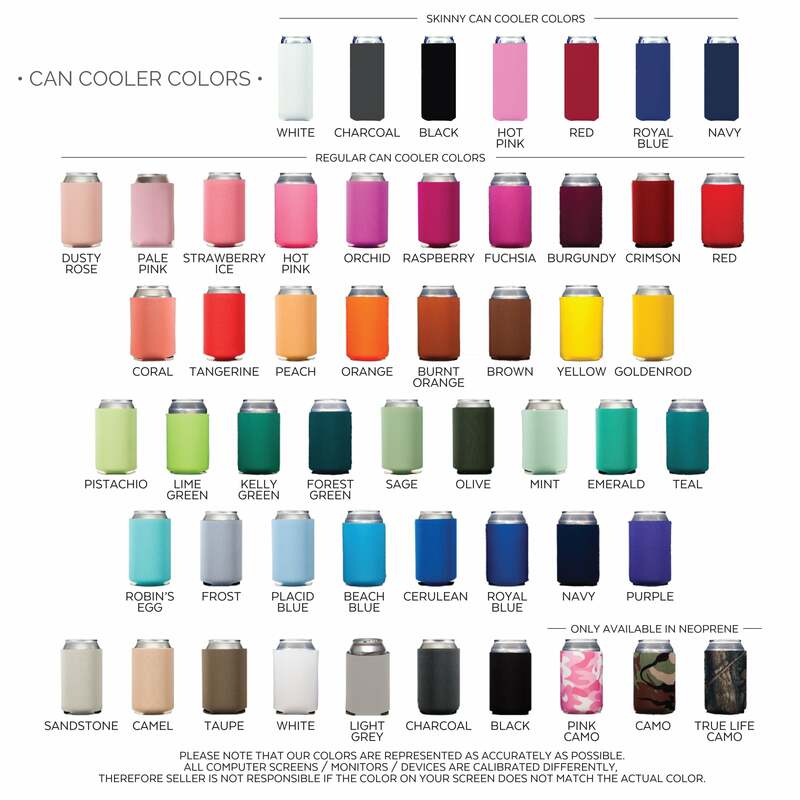 These custom printed drink huggers are great for cans and bottles. We print both sides with your personalized text delighting your guests with these thoughtful and functional favors. A welcomed addition at wedding receptions, BBQ's, engagement parties, bachelorette parties, etc.